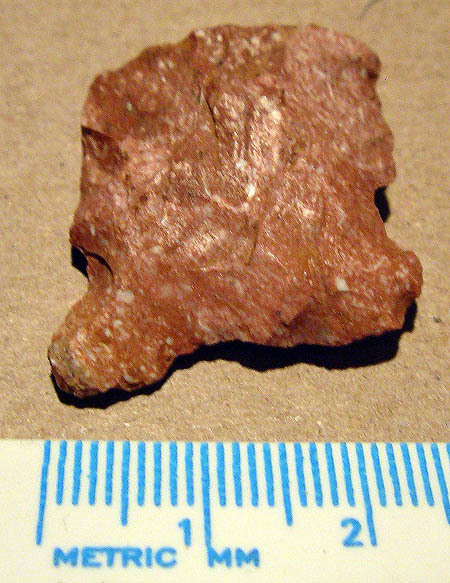 The New Market Site (23MA122) is an Archaic Period site in Northeast Missouri. 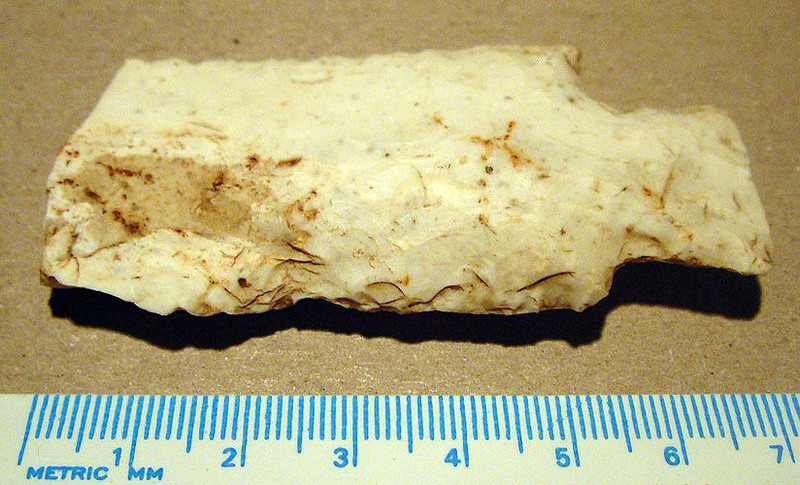 A few artifacts from the site may be Paleo-Indian in age. The site is situated on private property and is not accessible to the public. 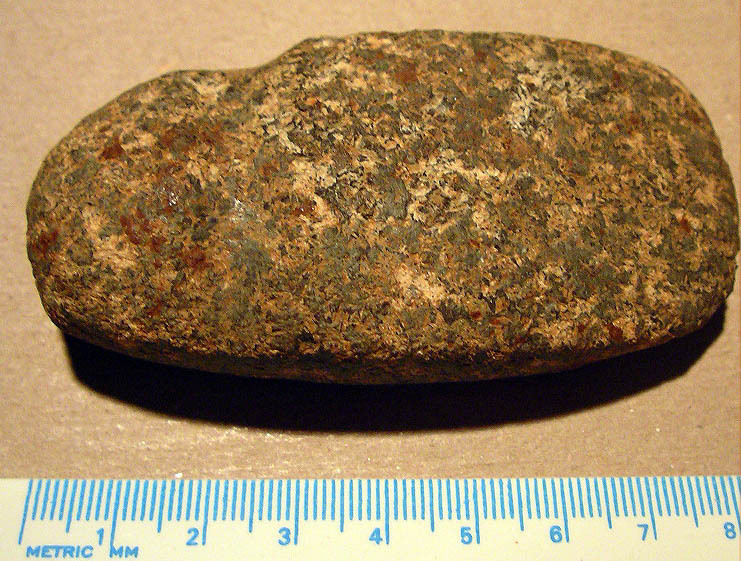 Full grooved hematite axe. Length = 63 mm, width = 78 mm, thickness = 19 mm, and weight = 233.8 grams. 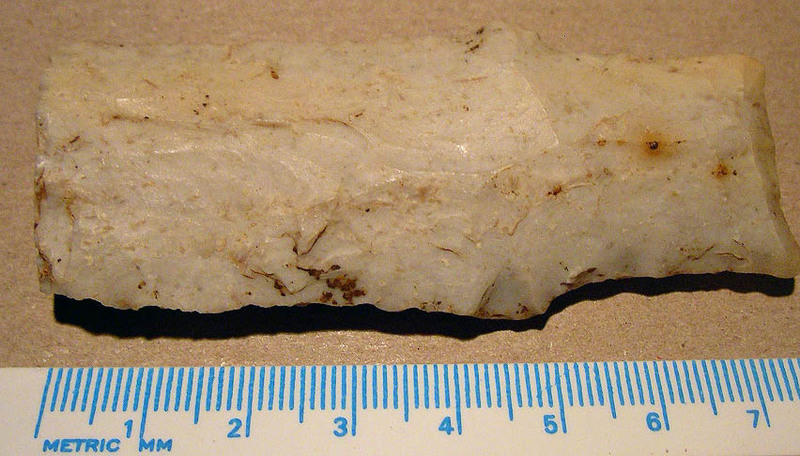 Felsite/Diorite axe with grooves on 3 out of 4 edges. Length = 84 mm, width = 43 mm, thickness = 30 mm, and weight = 126.3 grams. "Clovis-like" point or an odd snapped point with basal damage? Length = 77 mm, width = 37 mm, thickness = 9 mm, and weight = 27.7 grams. 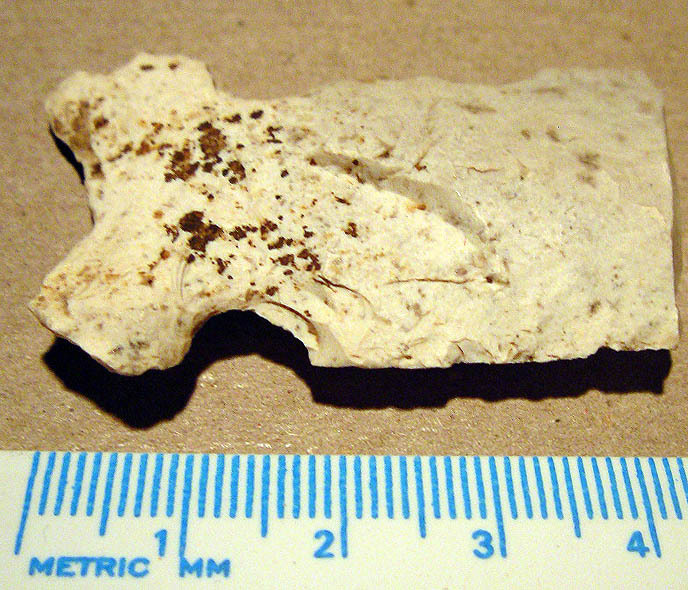 Reverse Hinge fracture pattern on one side of a point midsection. Length = 34 mm, width = 33 mm, thickness = 6 mm, and weight = 8.4 grams. Reverse hinge fracture pattern on one side of a point midsection. Length = 34 mm, width = 27 mm, thickness = 6 mm, and weight = 6.7 grams. 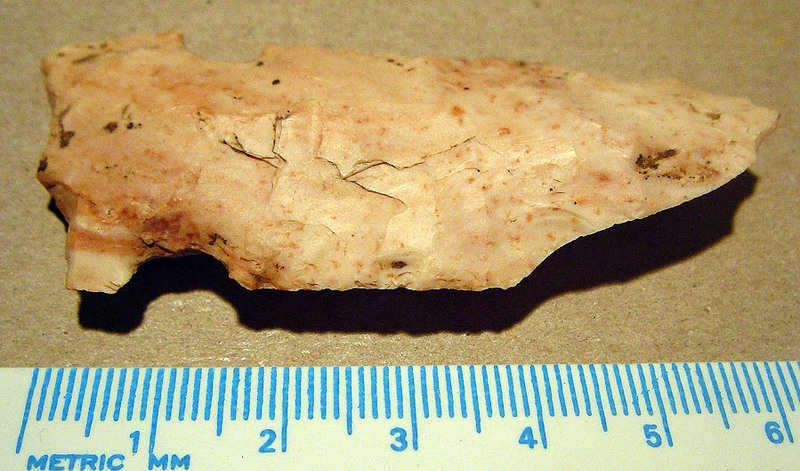 Projectile point resembling a San Patrice point. Length = 43 mm, width = 26 mm, thickness = 8 mm, and weight = 8.3 grams. 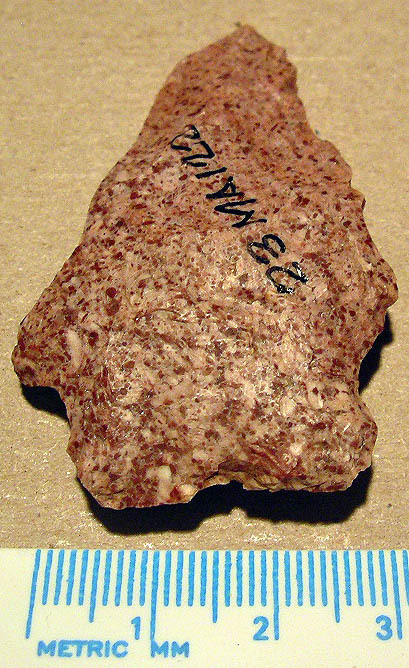 Lanceolate form resembling Late Paleo-Indian point types. Length = 50 mm, width = 26 mm, thickness = 8 mm, and weiight = 11.3 grams. 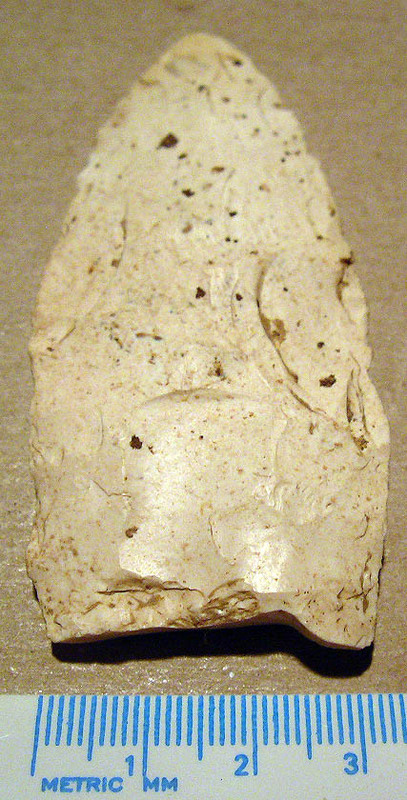 Rice Lobed point with pronounced edge bevel. 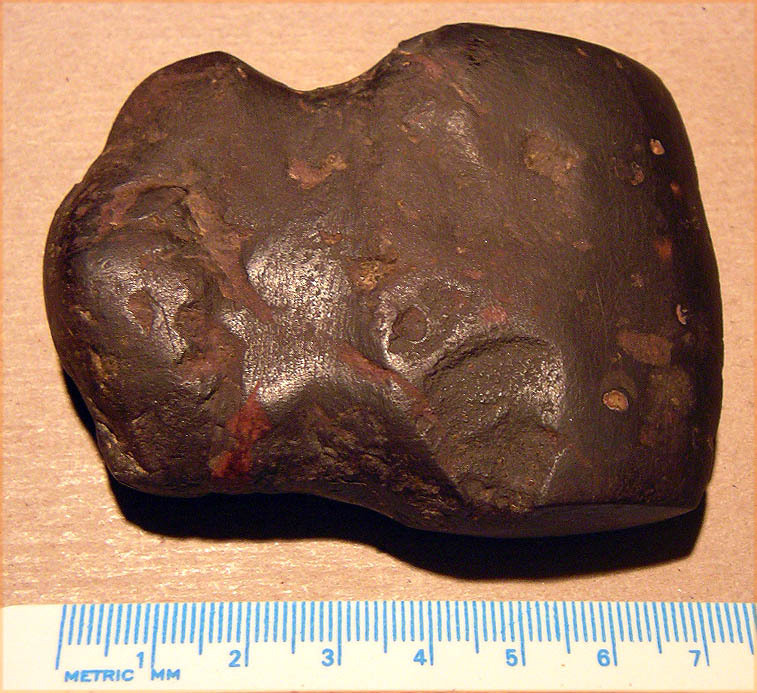 Length = 54 mm, width = 33 mm, thickness = 10 mm, and weight = 15.5 grams. 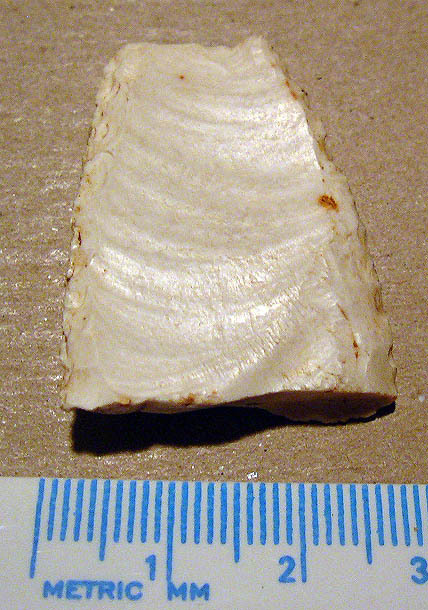 Possibly a Rice Lobed point that has been resharpened to exhaustion. Length = 50 mm, width = 33 mm, thickness = 9 mm, and weight = 14.3 grams. 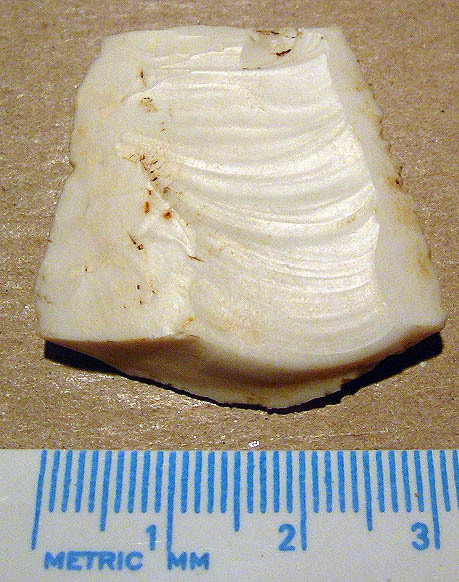 Base of a side notched form (variant of Graham Cave SN?). Length = 26 mm, width = 25 mm, thickness = 8 mm, and weight = 5.0 grams. 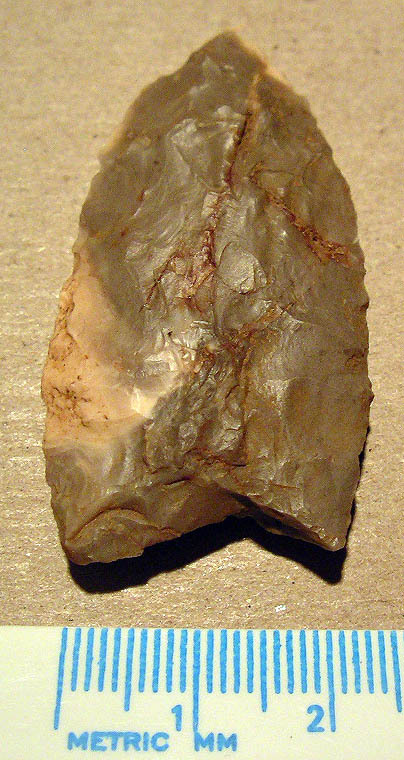 Graham Cave side-notched point. Length = 63 mm, width = 27 mm, thickness = 9 mm, and weight = 15.9 grams. 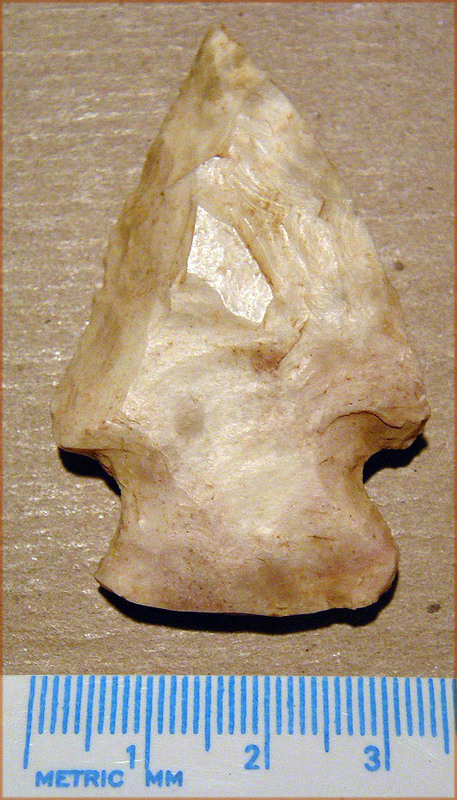 Narrow side-notched point (Graham Cave variant?). Length = 75 mm, width = 22 mm, thickness = 10 mm, and weight = 19.9 grams. 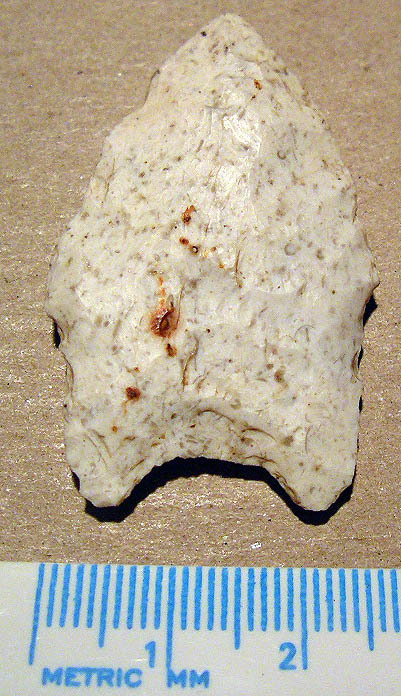 Unfinished Graham Cave side-notched point. Length = 63 mm, width = 27 mm, thickness = 9 mm, and weight = 15.9 grams. Expanding stemmed point resembling an Etley Point. Length = 71 mm, width = 32 mm, thickness = 10 mm, and weight = 26.3 grams. A special thanks to Garry Saunders for his help in documenting this site.